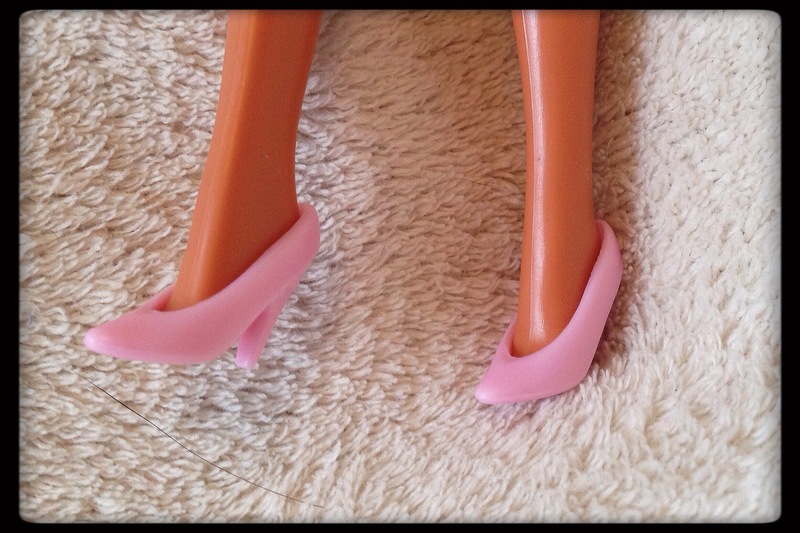 Peri’s Accessories | Barbie Who? For today’s post, I am going to focus on several finishing touches to Peri’s overall look. This includes picking out a pair of shoes, making a bracelet, and doing her hair. These little details are what make the biggest difference when recreating a character. I am sorry this post took so long to publish, but we came down with a virus and the entire family was miserable for the better part of this week. This severely reduced the amount of time I had to work on crafting and the blog, and I apologize for the delay. Anyways, back to the accessories! Peri always had a bracelet on that matched her belt. I wanted to create a similar bracelet, while keeping it simple. I could have gone a few different directions with it. I briefly considered braiding the bracelet so it would be very thin and dainty, but I soon realized that I am terrible at braiding evenly with crochet thread. I considered knitting it, but the sizing would have been too tricky and I believed it would wind up too bulky. To get a good balance of size and quality, I went with crochet. 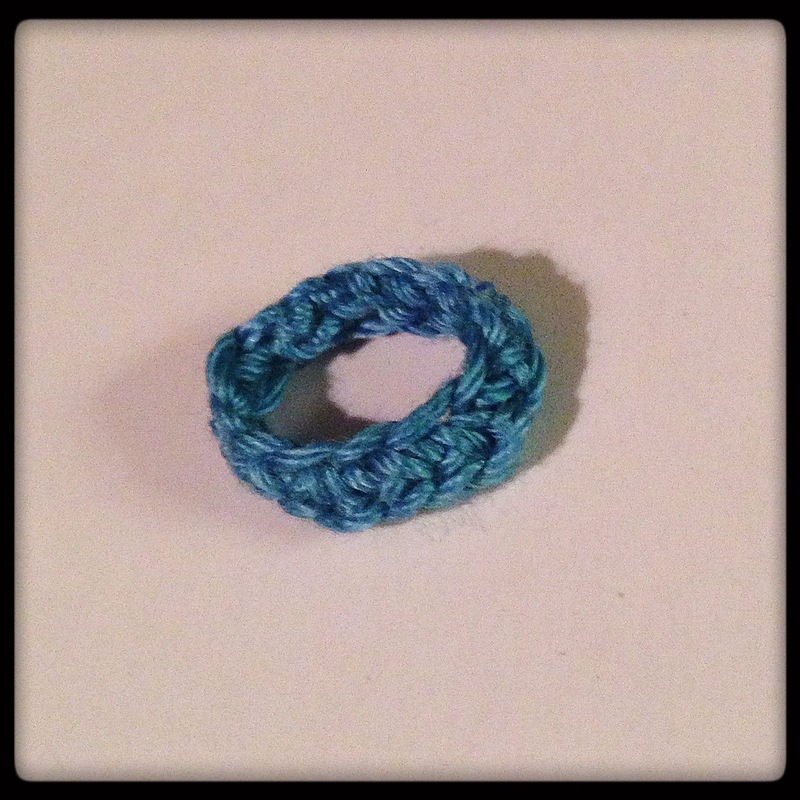 I decided to create it using the foundation single crochet stitch. I chose the foundation stitch because, for me, it comes out more even than chaining and then doing a row of single crochets. I made the bracelet big enough that it could slip on and off of her wrist; I wanted to be able to remove it if needed. I could have made it smaller and sewed it onto the wrist, but I chose the removable route in case it gets dirty and needs to be cleaned. This size is large enough that I can remove it but small enough that it won’t fall off on its own. For Peri’s shoes, I first looked at the bag of shoes I bought from China last year. There were many pink pairs of shoes, but most of them were open toed and the wrong shade of pink – Peri sports a pastel pink pair of shoes for most episodes and most of the shoes in my cache were hot pink. I was looking for more of a closed toed high heel to go with her outfit. Frustrated, I rummaged through the bag of naked dolls in the toy area to see if any of them had pink shoes. Luck smiled upon me and I found a pair that is exactly what I had in mind. I was ecstatic that they fit! No giant-foot problems with this doll. Lastly, I had to touch up Peri’s hair. A few weeks ago, I cleaned Peri. I rinsed and brushed her hair, and this brought out a few strays. I simply trimmed the uneven hairs and used a bit of heat to smooth everything out. Using a blowdryer on low setting, I just put her head under it for 20 second bursts and then moved the hair to where I wanted it. After doing this three or four times, I was able to get her hair to cooperate and sit the way I wanted. I brushed it one last time and it looks fairly better. 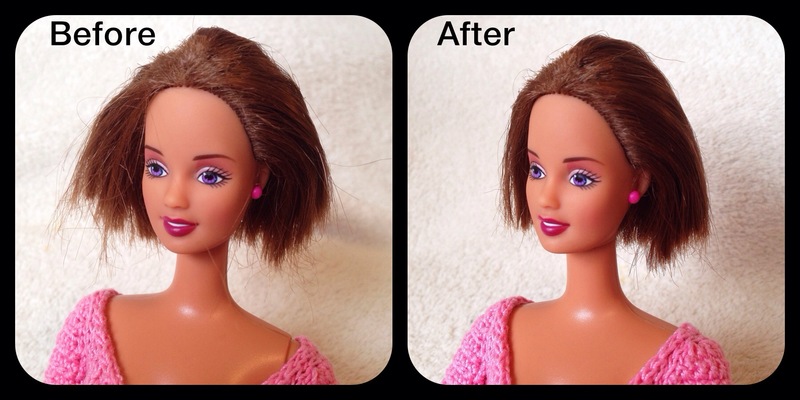 I did before and after pictures, but the stray hairs didn’t photograph very well. Still, you can see some improvement. That is it! These are the last few touches for Peri’s outfit. I just need to create some plants as accessories for her and her entry on the blog will be complete. I hope to have everything wrapped up shortly. Again, I apologize for this post taking so long to publish. One silver lining about the delay and being sick is that it gave me some time to scout patterns and possibilities for the next doll I will be doing for Barbie Who? I haven’t made a definitive decision about what I will do just yet, so stay tuned! Congratulations on getting it finished so quickly. The pink outfit really suits her colouring too. What a clever idea to combine knit and crochet on the same piece. I would never have thought of that. Some of the ones I’ve done the idea seems to be to cast on extra stitches on each side for the sleeves. I’ve done it though I found it tricky the way it was described and might try something else next time. Make sure to blog about it if you find a different way to do it. I agree that it sounded tricky the way they described it, and I looked at three or four of them to make sure it wasn’t just a the person translating the pattern. I will. I’m thinking that just increasing the stitches by the same amount might work rather than casting on. When I first do a pattern I tend to try to follow instructions but the way I knit isn’t necessarily text book. My mum taught me too but she taught me the way she did it. I find it hard to cast on any other way but the way she taught me. Knitting really is an art, and everybody has their own way of doing it. I hold my crochet needle differently than most people; we all have our own unique style. It’s all come together so well – I’m really looking forward to the final post about Peri (and to finding out who you’re making next).